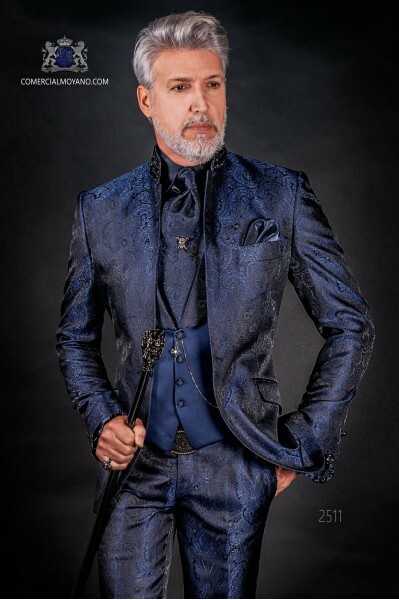 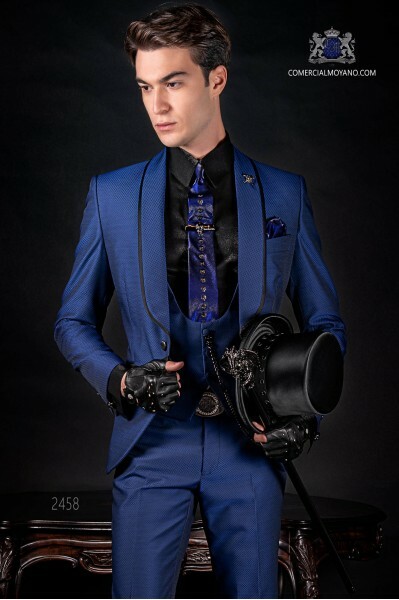 Blue gothic suits There are 7 products. 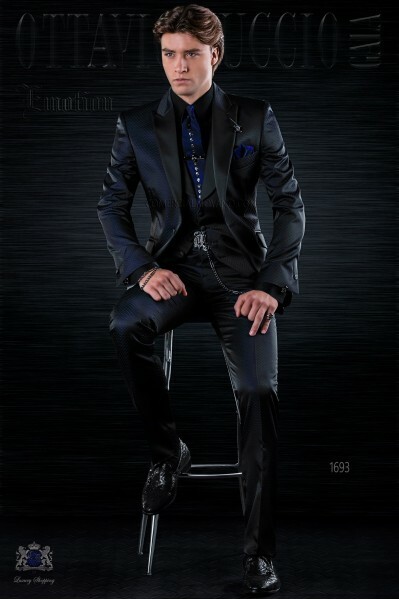 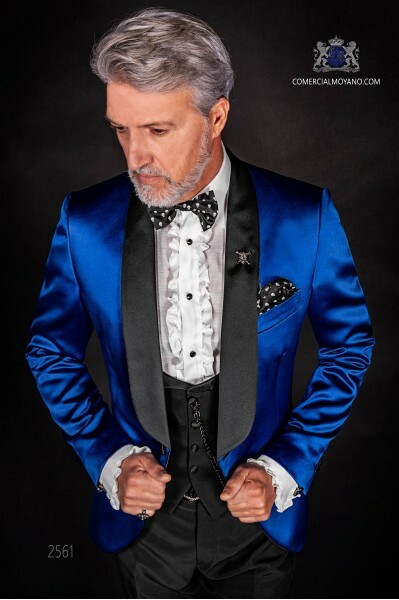 Italian bespoke fashion suit, blue jacquard fabric, mao collar and crystal rhinestones, button with 1 fancy button. 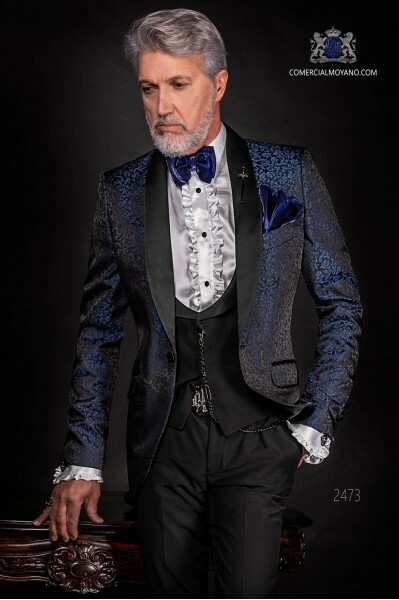 Pockets with placket and with inclined eyelets, back with 1 opening, tuxedo wedding suit 2511 Ottavio Nuccio Gala, emotion collection.